My Facebook account is now "suspended". It was a long time coming. The many problems of being on Facebook are well known among internet-literate folk, but hard to explain to casual users. As someone said, "if you can't figure out what the product is, the product is you." FB makes money by advertising and by using tricky ways to get you to disclose lots of marketable facts about yourself. The same facts can be used by almost anyone who wants to know something about you. The most notorious case would be prospective employers, who are known to require you to give up your FB password, so they can see all your history. No doubt the Federal government has similar interests in your politics or your research into exothermic chemical reactions. We need to pull out of Facebook. It's painful, because FB provides some very useful networking with people you want to connect with -- classmates, family, etc. But it's not enough for me. There are quite a few other social networking sites. Yes, they're mostly free and they all share some of the same problems as FB, but that's where I am now. Try me on Google+ (Martin Ewing) or on Twitter (@AA6E) or talk back to my blog. I'm active on the ARRL member forum (AA6E), too. 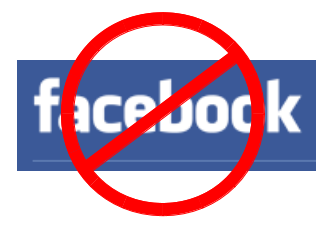 You can suspend your FB account -- a kind of trial separation. If it still seems wise in a week or two, you can have all your info deleted. I'm way ahead of you - I never registered with FB. Privacy concerns only got worse over the years. I have Google+, it came automatically with Gmail. Don't do much with it.